The Rock of Cashel is one of the most important tourist sites in Ireland. Located in County Tipperary, it is a rocky plateau that rises abruptly from the flat green countryside around it. There are spectacular views from the top of the Rock but its importance lies in the thousands of years of history that has taken place on the rock. 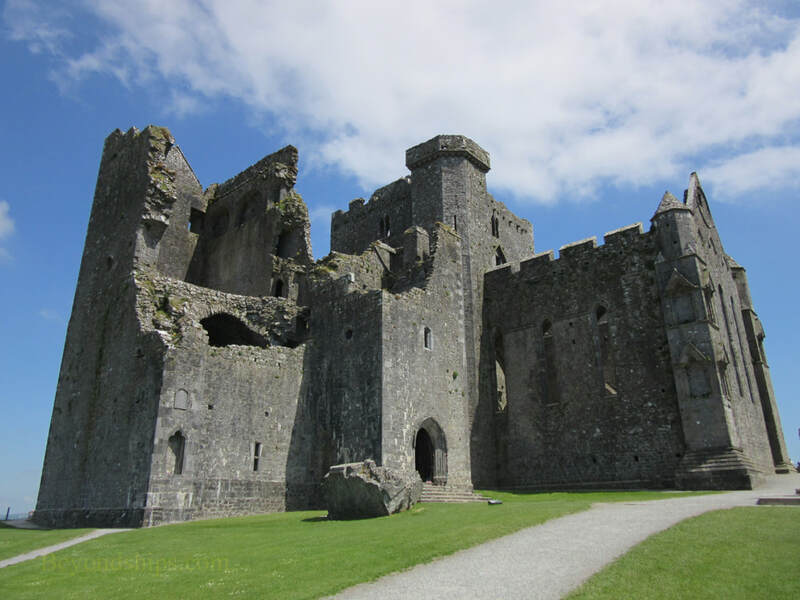 In the 4th century, the Eóghanachta clan from Wales settled on the Rock of Cashel and went on to conquer most of the surrounding area.. Over time they declared themselves the kings of Munster. St. Patrick visited the Rock of Cashel in the mid 5th century. He christened the King of Munster there, which was an important step in spreading Christianity in Ireland. According to legend, St. Patrick used a shamrock to explain the Christian trinity to the king. This led to the shamrock becoming a symbol of Ireland. In any event, because of this connection, the Rock is sometimes called St. Patrick's Rock. Cashel continued to be the seat of the kings of Munster for several centuries. In 1002, it was the site of the coronation of Brian Boru as the High King of Ireland. In the 12th century a great grandson of Brian Boru gifted Cashel to the Church of Ireland. He did so probably because a rival was planning to seize the site. In so doing, he not only thwarted his rival's plan but increased his popularity with the people. The fact that he was also a bishop, undoubtedly made the gift less painful. 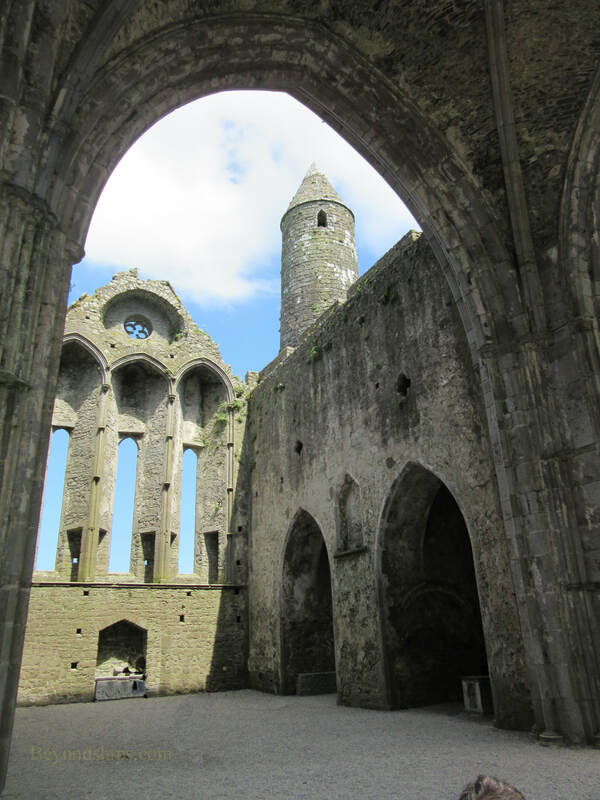 Cashel then became an important ecclesiastical center. A cathedral was built on the Rock in the 13th century. One of the great tragedies in Irish history took place at Cashel during the Irish Confederate Wars in the 1640s. An army led by Murray O'Brian, Lord Inchiquin, surrounded the Rock and the town of Cashel, which lies at the base of the Rock. Inchiquin's forces supported Oliver Cromwell and the English Parliament while the inhabitants of Cashel supported the Royalist Catholic coalition. Because the inhabitants rejected his calls for surrender, Inchiquin granted no quarter when he took the town and the Rock. Thousands of civilians were murdered by his forces as they plundered Cashel. Cashel never fully recovered from this tragedy. It suffered further indignity in 1749 when the Anglican Archbishop of Cashel had the roof removed from the competing Catholic cathedral on the Rock. 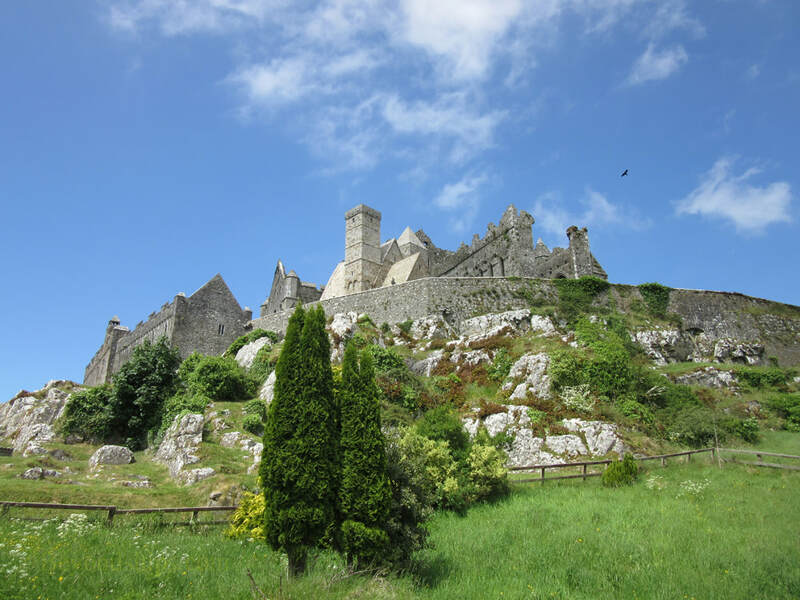 Today, the Rock of Cashel is a national monument operated by the Office of Public Works. It consists of several medieval buildings and a graveyard. The oldest building on the site is the Round Tower. It was built around 1100 A.D. when Rock was given over to the church. Originally, built without mortar, the tower soars 90 feet into the sky. A peculiarity is that the entrance to the tower is some 12 feet above ground level. The placement of the entrance was necessitated by the fact that the tower has a very shallow foundation. Next to the round tower is the ruins of the cathedral. Built between 1169 and 1234, the cathedral was built to a cruciform plan with a central tower. Its soaring walls testify that it must have been a magnificent building in its day. 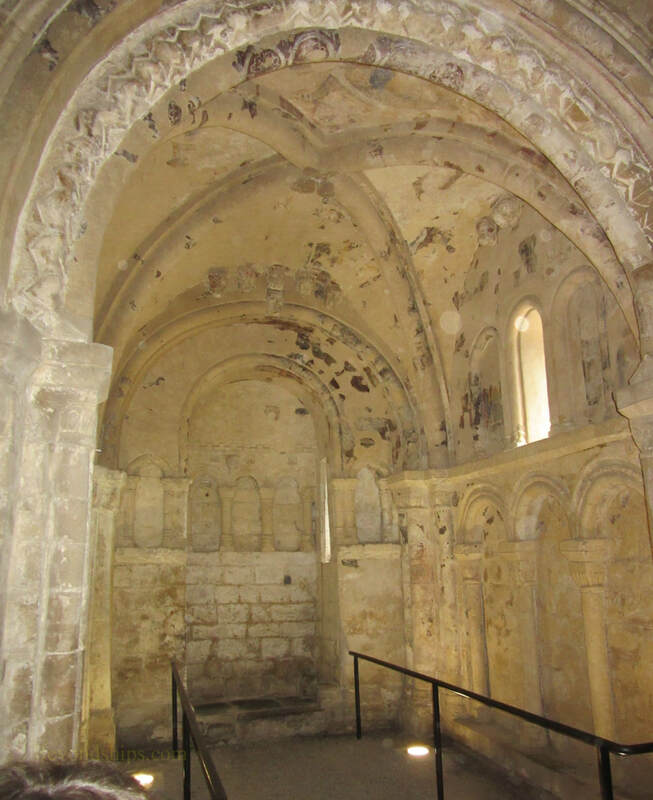 On the other side of the cathedral is Cormac's chapel, built between 1127 and 1134 at the order of King-Bishop Cormac McCarthy. It is a relatively small Romanesque building with a barrel vaulted ceiling. At one time, it was elaborately decorated with frescoes and carvings. However, over the centuries, water seeped into its sandstone causing extensive damage. The Irish government undertook an ambitious restoration effort, which required closing the chapel for some time but now the chapel is once gain open to the public. The government has also restored some of the outer buildings that made up the ecclesiastical community. In the Hall of the Vicars Choral, visitors can see where the laymen who assisted in the chanting during services ate and their kitchen. 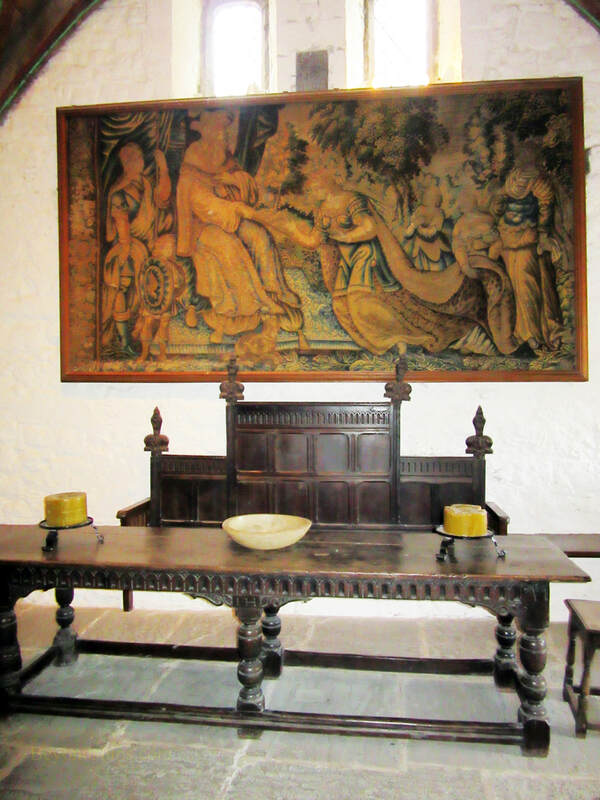 The rooms are decorated with period furniture. Outside, the grounds have several Celtic crosses marking the resting places of prosperous landowners and clergymen. For more information about visiting the Rock of Cashel, see the Heritage Ireland website. 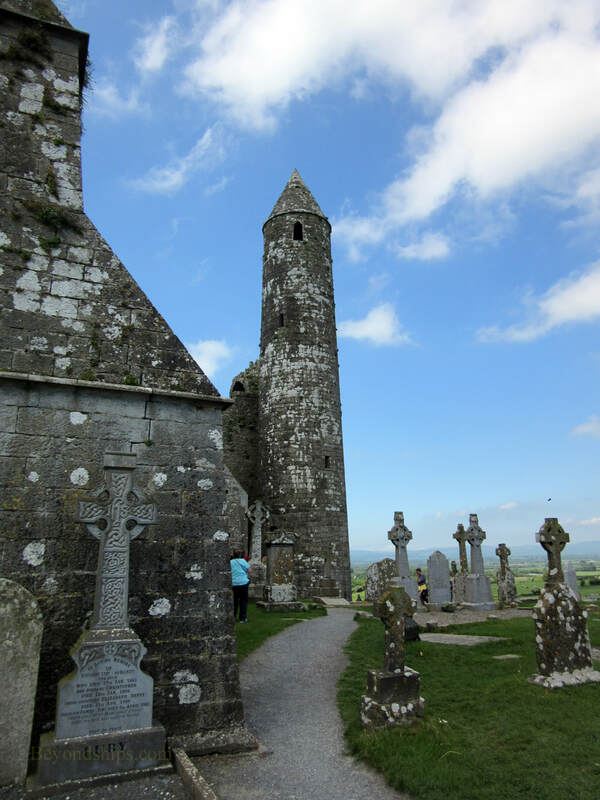 ​Above: The Round Tower, the oldest building on the Rock of Cashel. Above: The exterior of the cathedral. ​Below: Inside the ruins of the cathedral. ​Below: The Hall of the Vicars Choral. Above: Views from the Rock of Cashel.